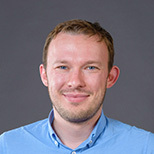 Lee Harvey is the Assistant Project Manager within the Strategic Projects team at London South Bank University (LSBU). He is currently project managing the Investment Escalator, a free fully funded programme that offers London's small and medium-sized businesses all the support they need to grow, from optimising their business to finding funding. Lee has been at LSBU since July 2012, working within University Enterprise and the Strategic Projects team.